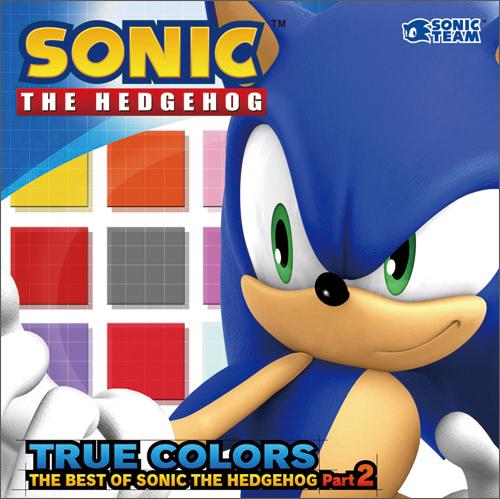 SEGA Japan’s new online store is currently taking orders for the upcoming compilation CD, “True Colors 2: The Best of Sonic the Hedgehog – Part 2”. The release – one of three CDs that Jun Senoue is producing – is going for ￥2,500, which works out at about £16.70. The record won’t be on sale officially until the 16th December 2009. You can order the title from SEGA’s Ebten store (their replacement for their dedicated SEGA Direct online service), or alternatively Amazon’s Japan website (click for translation) is selling the CD for the same price and is likely to ship overseas. Amazon’s website reveals a portion of the tracklist that we can expect to find on the record, which includes themes from Sonic Adventure 2’s “Throw It All Away” and E-102 Gamma’s theme from Sonic Adventure. An original demo version of “Lazy Days”, a new remix of “Dreams of an Absolution” and a Hybrid Mix of “All Hail Shadow” featuring Magna-Fi’s Mike Szuter is also revealed. Sounds like a pretty special tracklist, for sure. Who’s interested in getting a copy once December hits?